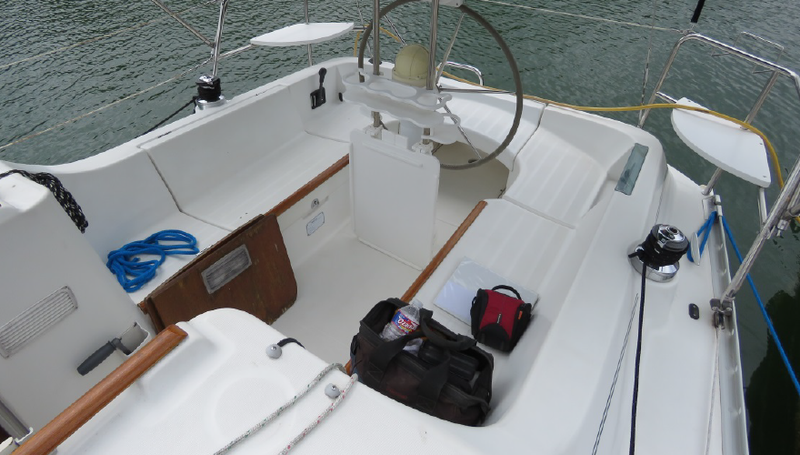 The Beneteau 281 is both a great day sailor and weekender. 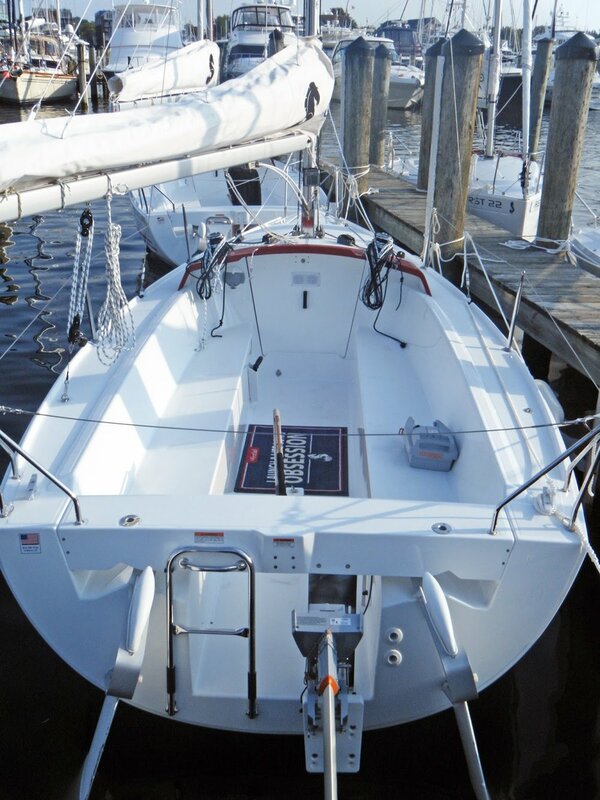 Ideal for those "moving up" to big boat sailing with wheel steering, cockpit bimini, head and galley. Miss Ann is a classy racer/cruiser sailing yacht. She is well suited for performance sailing or enjoying the light summer winds to take you to pleasant anchorage for a swim off her ease to board stern. 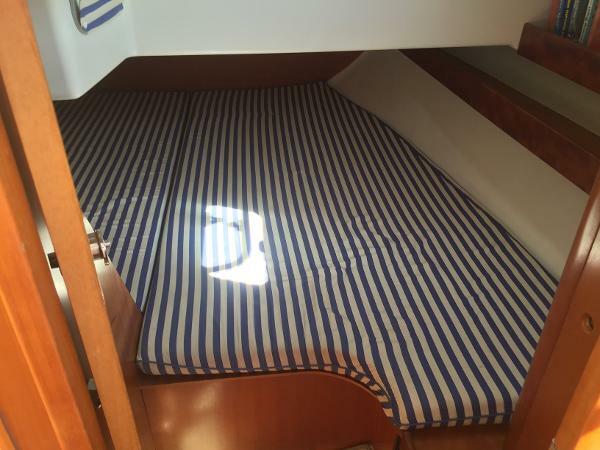 Complete for weekends on the lake with full galley, large head, and spacious V berth and stern berths. Her modern interior is completed with air conditioning for comfort at the dock and while at anchor. Her light interior is enhanced by the richly varnished pearwood. Her accommodations include both a forward cabin that sleeps 2 in a berth measuring over 7 ft long and 5 ft 7 inch wide at the shoulders. 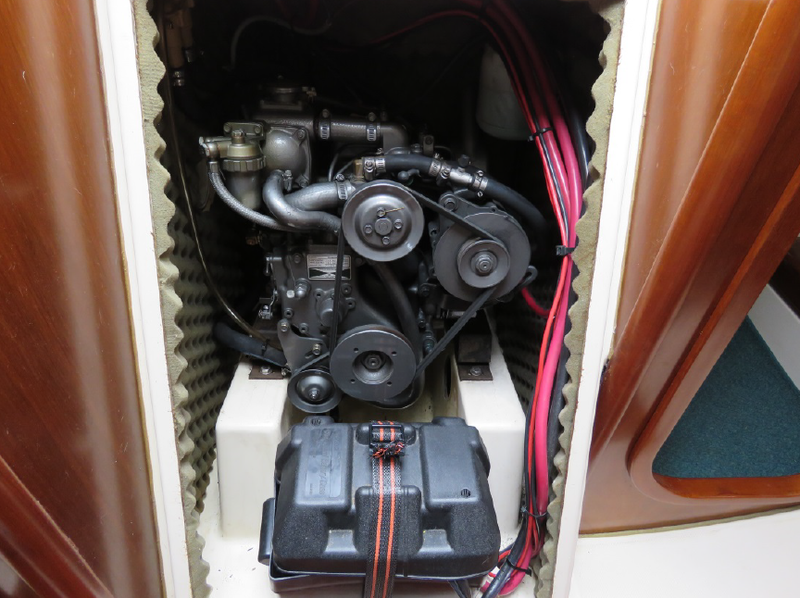 Her aft cabin is 6 ft 7 inch by 5 ft 7 inches. Her teak covered cockpit seats are shaded by a large bimini. Her control lines running aft to the cockpit and traveler positioned well forward for ease of handling while performance sailing, yet out of the way while at dock/anchor. 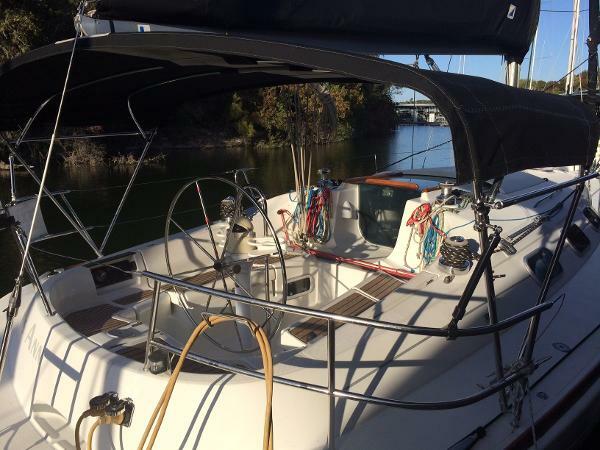 "You Can Enjoy This Boat For As Little As $150 Per Month"
Come sail and enjoy the Beneteau 343, the perfect boat for the sailing couple or smaller family. Her graceful appearance is complimented by ease of sailing with all lines leading aft to the cockpit. Her cockpit is spacious with wheel pivoting 90 degrees at anchor to allow easy access to the swim platform. She features both furling main and foresail. 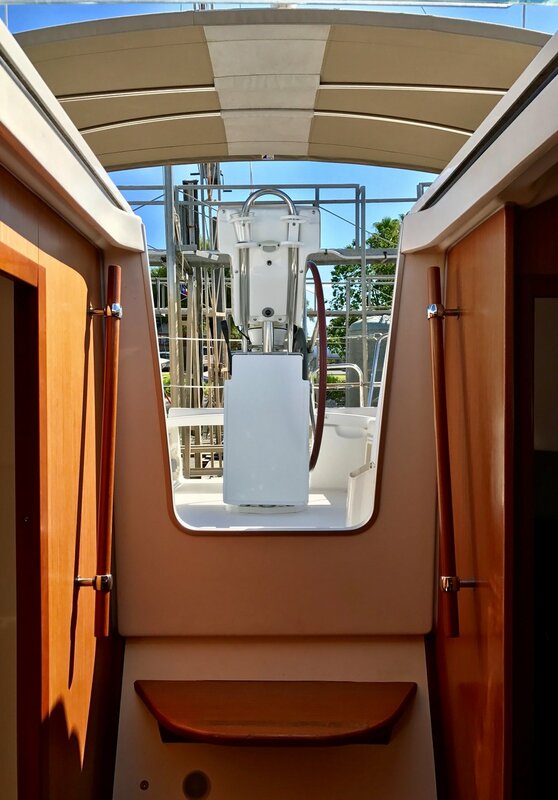 As you step below, you will experience the beauty of the Beneteau line, with spacious cabin and accommodations with V berth and aft berth area. Her galley is well laid-out and equipped. 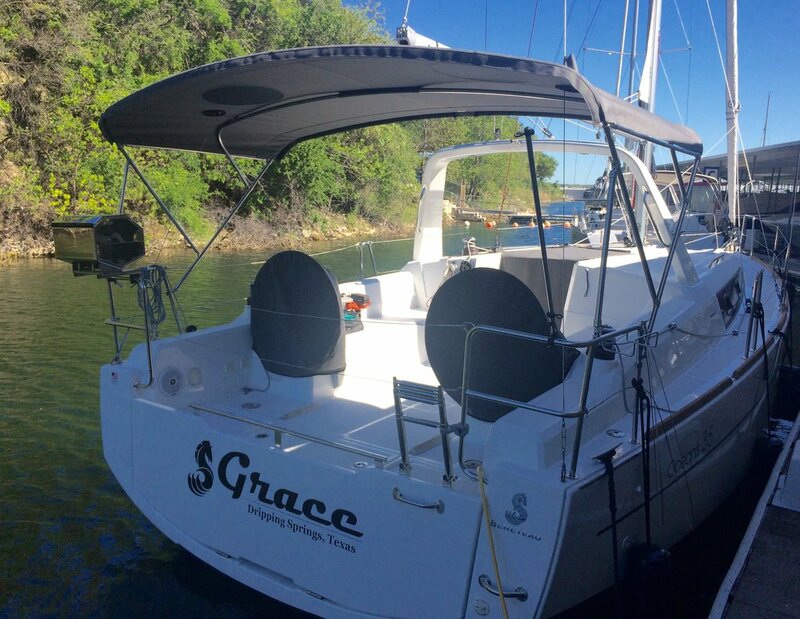 "Grace" is a beautiful example of a Beneteau 35, with spacious cockpit, dual helm and open, light interior. The Beneteau Oceanis 35 is designed for the avid sailor who enjoys days sailing, weekending and the occasional beer can race. Her cockpit and rig are well laid out making line handling quick and easy. The way space is used topside and below is one of her features, providing a roomy uncluttered and light interior feel. 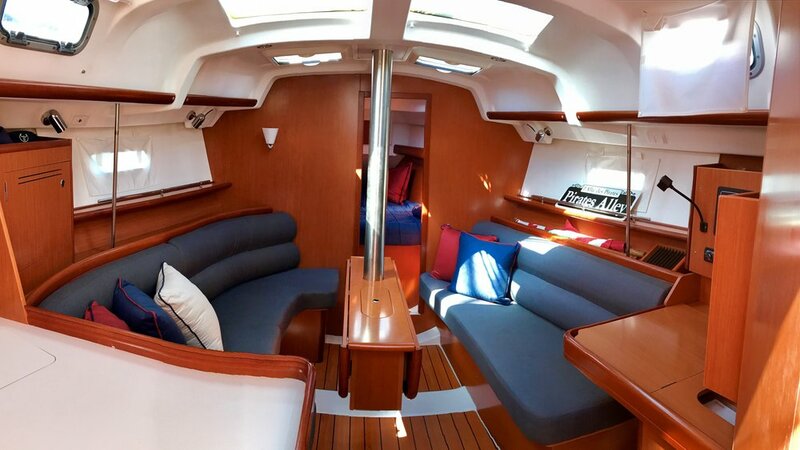 Come charter one of the queens of the Beneteau sailboat line! The Beneteau 373 offers all the latest innovations. 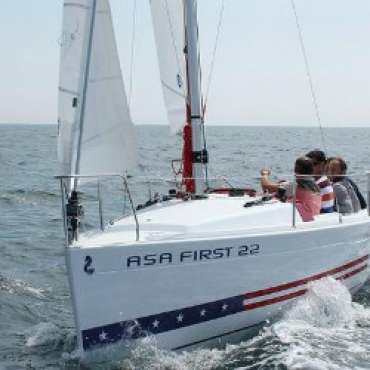 Lone Spar has a roomy cockpit, easy to handle sail controls, and the patented pivoting wheel, the Beneteau 373 is a true pleasure to sail. As you step below, you will be impressed with the bright salon, roomy galley, and private cabins. While you are aboard the 373, whether under sail or anchored in a cove, you and your guests are sure to be the envy of other sailers on the lake! Come charter one of the queens of the Beneteau sailboat line! The Beneteau 373 offers all the latest innovations. 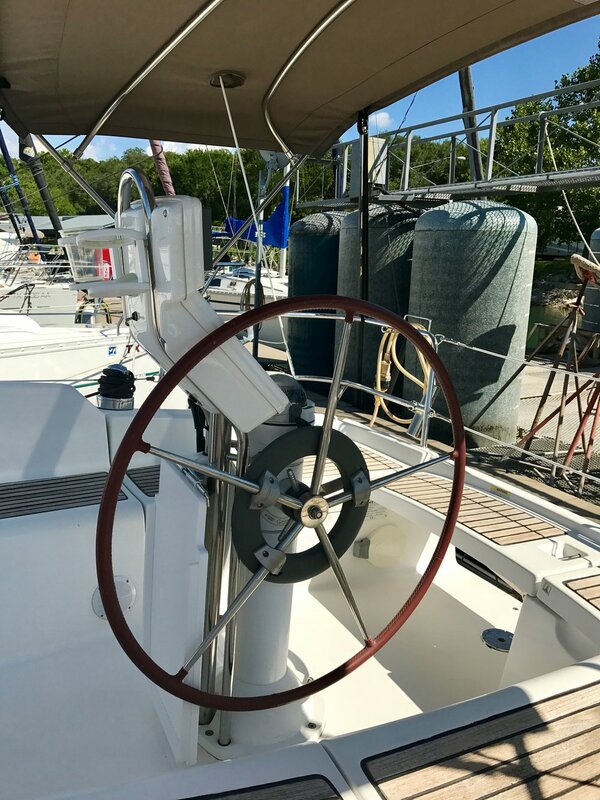 Moon Rock has a roomy cockpit, easy to handle sail controls, and the patented pivoting wheel, the Beneteau 373 is a true pleasure to sail. As you step below, you will be impressed with the bright salon, roomy galley, and private cabins. 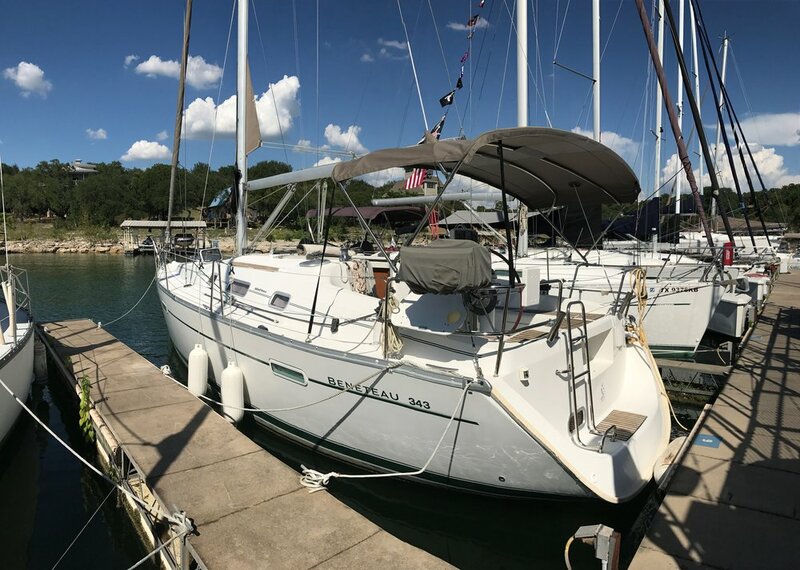 While you are aboard the 373, whether under sail or anchored in a cove, you and your guests are sure to be the envy of other sailers on the lake! Pure Joy ! The Beneteau 40 won Best Midsize Cruiser in Cruising World's "Boat of the Year" honor. Sailors will appreciate her light air handling and enormous, fully covered cockpit. 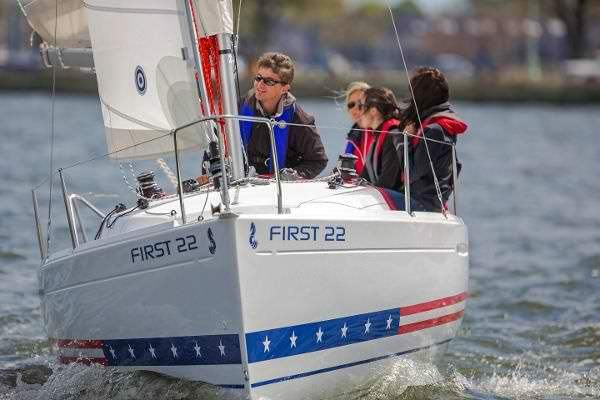 Both Mainsail and Headsail are easily deployed with furling systems. To make sailing even easier, her sails can be controlled with electronic winches for the jib and main sail. She has a bow thruster to simplify docking. If you love electronics, she is complete with state of the art entertainment system(s) for sound and video. Yes, you can enjoy watching football while at anchorage, while keeping cool with her air conditioner and generator. 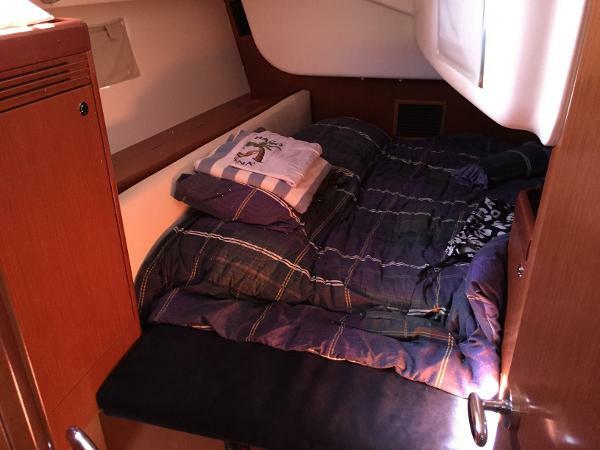 Below she has two (2) staterooms and a single head with separate shower. 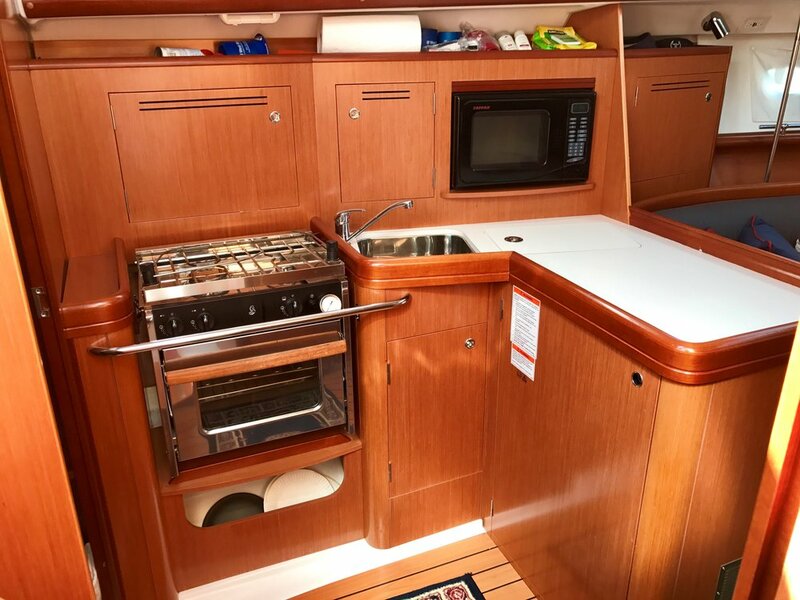 Her spacious galley is to port as is her navigation station.